Google My Business is a free Google resource for local businesses. It allows a business owner to provide valuable information directly to Google, which helps a business appear in local results for both brand and non-brand queries. This guide details each section of the Google My Business platform to help you best leverage this free tool. The Google My Business dashboard is navigated by its left-hand menu. This guide walks through each section of the menu. This section is the default entry point for users. Here, business owners can adjust the core information about their company. Owners can quickly: create a post, add a photo, or create an ad. In addition, owners can quickly see the latest customer photos and reviews. Also featured on the homepage is a snapshot of your business analytics (views on maps and search), a link to create a virtual tour, a link to access more analytics and a link to the Google My Business app. Posts allow you to share interesting information with your potential customers. These posts display in your local listing knowledge graph and help increase engagement. Note that posts expire after 7 days. You’ll receive an email notification when your post is set to expire. In this section, you can enter and adjust your core business attributes. Insights are like Google Analytics for your local listing. Here, you’ll see data about how customers are finding and interacting with your local listing. How did visitors discover you? Were they a direct (branded) visit? Did they discover you through a non-branded keyword? How many people found your business through search? How many people found your business through Maps? How many people clicked for directions? How many people clicked to call your business? How are your businesses similar to yours performing? Reviews are a very powerful form of social proof. Your aggregate review score will show up alongside your listing. The better your reviews, the more likely someone will be to interact with your listing over your competitor’s listing. In the top section of your reviews, you can toggle between reviews you have replied to and those you haven’t yet. This makes replying to all reviews easier than ever. Interested in better managing your reviews? We’d love to hear more and share how we can help. Let’s talk. 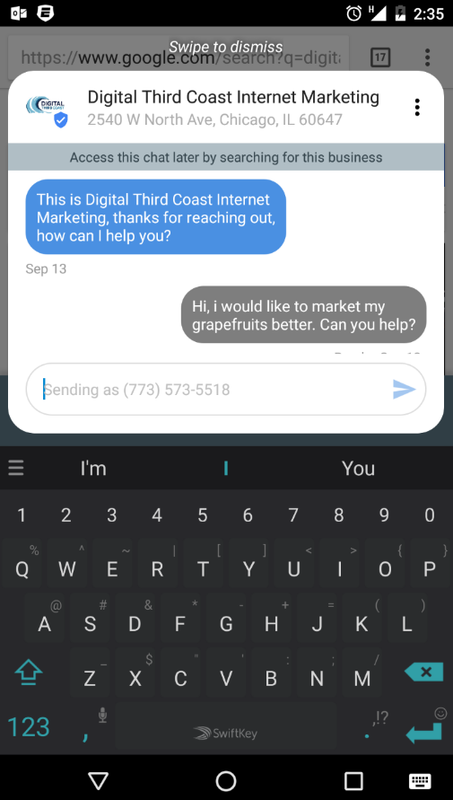 Messaging is a new service in Google My Business and allows you to interact with your potential customers via text message. As mobile search continues to grow, this can be a powerful way to give customers feedback in real time. Don’t have a business yet? Google has your back and can get you online. From here you can control which staff members and partners have access to manage and view your Google My Business account. It wouldn’t be Google if they didn’t pitch advertising! Great news! You’re growing! No need to create a separate account — you can manage all of your locations from the Google My Business dashboard. Great news! You’re growing! 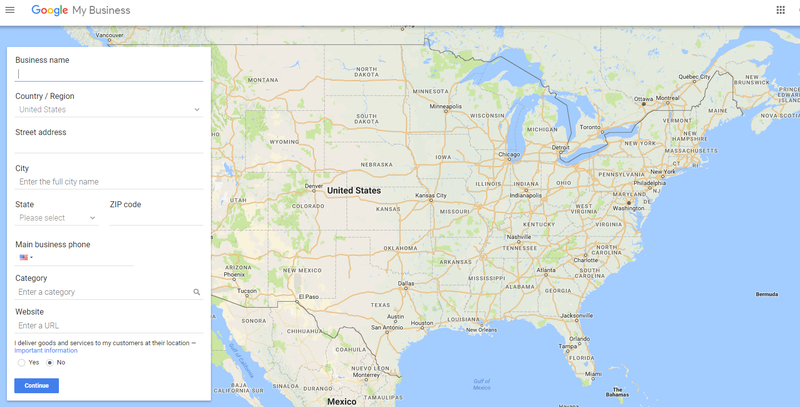 No need to create a separate account — you can manage all of your locations from the GMB dashboard. In this section, you can customize your Google My Business experience. Confused with Google My Business? This section provides some baseline help and guidance. Search through the FAQs and most popular Google My Business articles. If you have an AdWords PPC account with DTC, your account manager will be able to help you connect with Google to solve your problem through our Premier Partner status with Google!